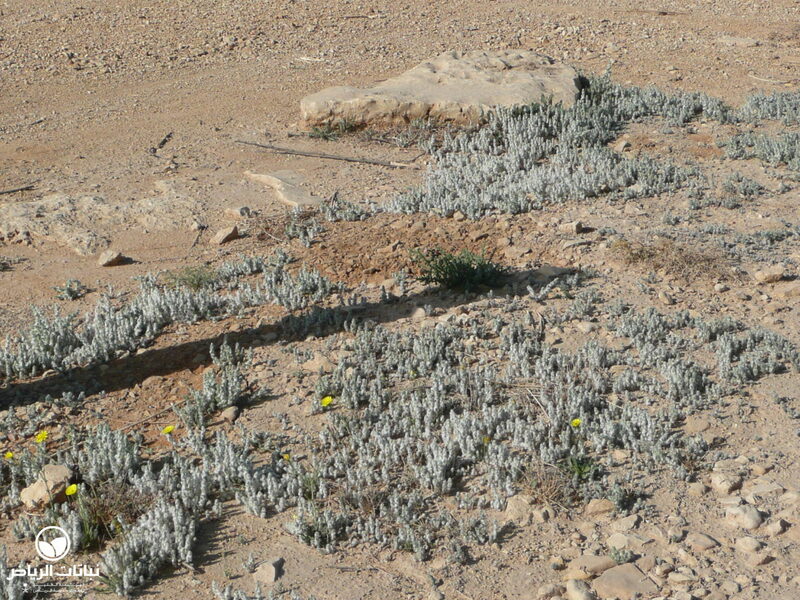 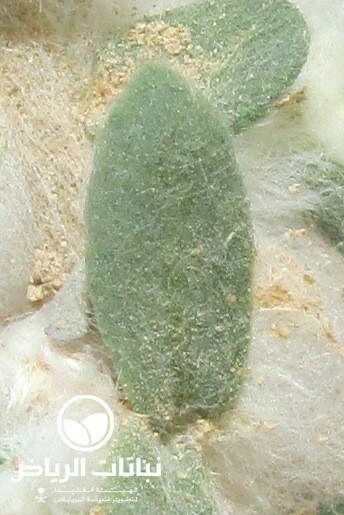 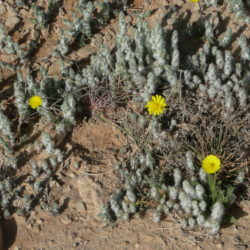 This is a native, halophytic species commonly seen on desert ground on saline and non-saline, sandy soils and in desert wadis in the ArArriyadh Region. 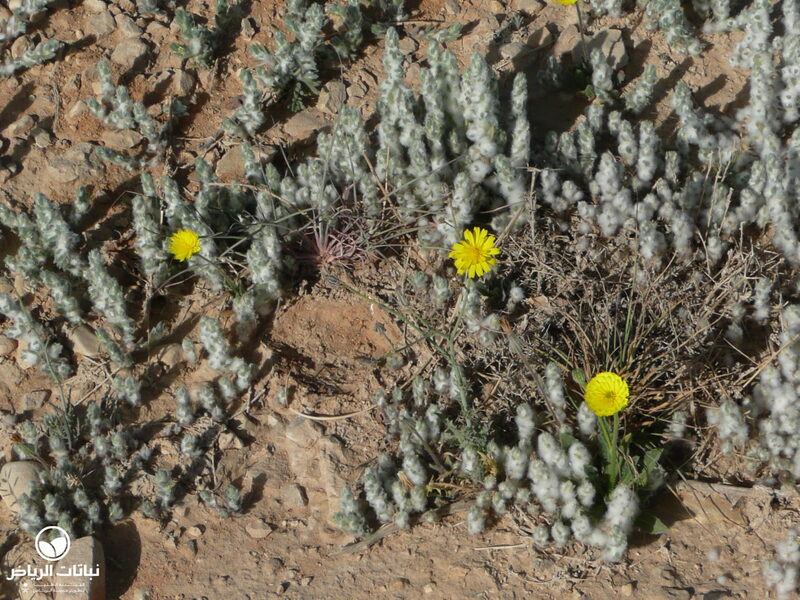 Its Arabic name is umm haas. 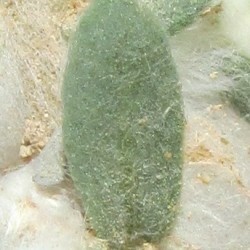 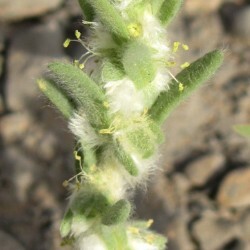 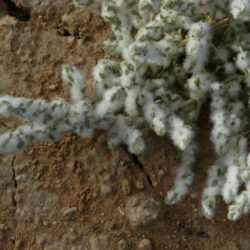 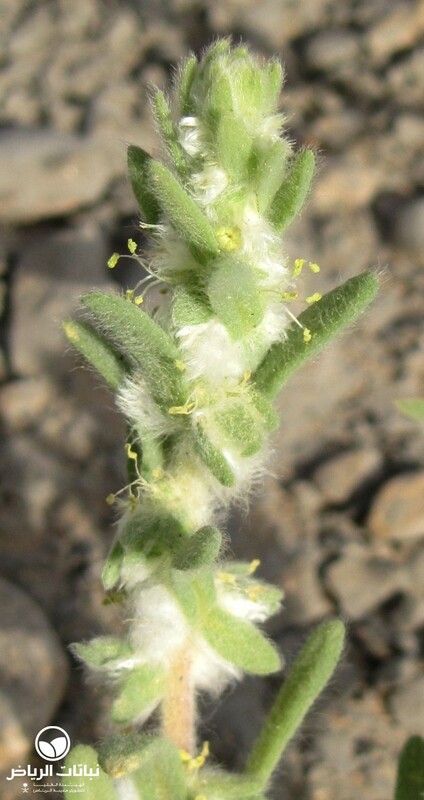 An annual herb with brittle branches and flowers on dense spikes in late spring, it becomes almost completely covered by a white, cotton wool-like fleece. 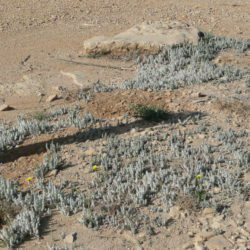 Propagated by seed or annual self-seeding and perpetuating in situ, this is a plant for very extensive use in totally natural situations. 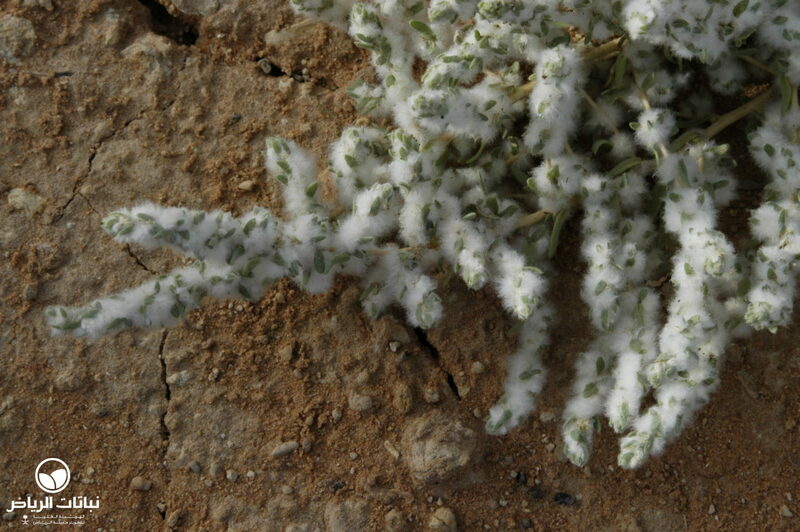 When covering gravel or sand like a carpet, its woolly appearance makes it an attractive plant with a potentially high landscape value.